Brian Hook, the US Special Representative for Iran and Senior Policy Advisor to the Secretary of State, has warned all countries not to allow Iran's sanctions-busting oil tankers to enter their territorial waters, or to dock at any of their port facilities. 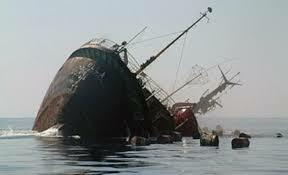 This is due to the fact that the world's insurance companies will be canceling all their coverage on Iranian oil tankers, given the reinstated US sanctions, and Iran's domestic insurers are not capable of covering that level of risk. 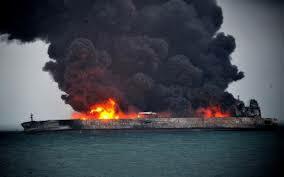 This means that the Iranian tankers are self-insured. 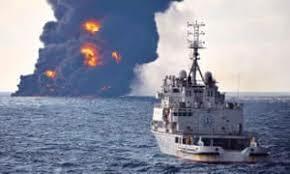 Should there be a massive oil spill, vessel collision, sinking of vessel that blocks canals or waterways, fire or explosion, or other catastrophic event, the country where the oil spills or ship collisions occur will be strictly liable for the damages, not to mention the likely imposition of civil fines and penalties for the sanctions violation. The fact that Iran's tankers disable their transponders, foiling any tracking efforts, and take circuitous and indirect routes to their destinations increases the risk of an accident, collision or spill. Those nations who lie along the principal shipping lanes of the world, where Iran's tankers must pass through, especially canals, choke points, channels or straits, are in danger, and should govern themselves accordingly, especially when it comes to refueling, resupply or offering harbor facilities to Iranian oil tankers. During the prior oil sanctions period, Iranian sanctions evasion agents stationed full oil tankers in the harbor at Labuan, Malaysia's offshore financial center & tax haven, while the opaque sales were conducted in the banks located within the financial center. Which tax havens will now double as sales closing sites, and the bunkering of loaded oil tankers ? Those jurisdictions can expect to feel the full weight of the United States Government this time, given the public position of the Trump administration.